The Ambassador is Going Bananas! It’s a Saturday afternoon, and we have treated ourselves to an overnight at the Ambassador Hotel. Kind of a mini staycation. No cooking, no cleaning, no reading emails (although we could – the hotel offers free WiFi) – just the four of us taking some time to ourselves. We’ve even been upgraded to a room with a 4 person jacuzzi tub in the bathroom. The kids were so excited by the size of the tub in our room, they almost decided that they didn’t need to go down to the pool. Until they saw the 100 foot slide. It’s a long flight up to the top of the slide, but worth the climb! The Ambassador is definately a great choice of hotel to stay at with a family when in Kingston. 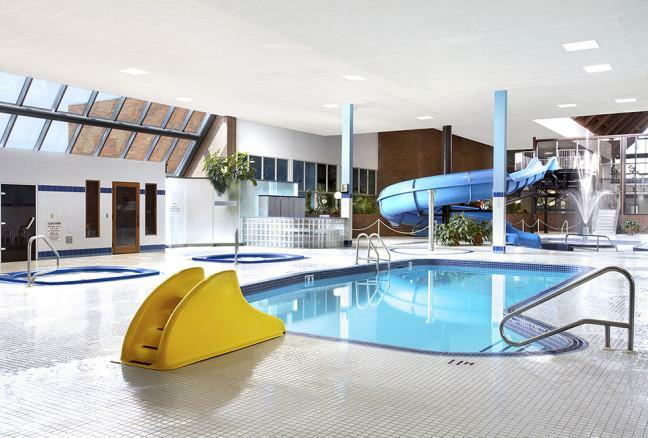 In fact, they are even catering specifically to families this March Break, with a host of activities planned. And a theme that your kids will go bananas over! 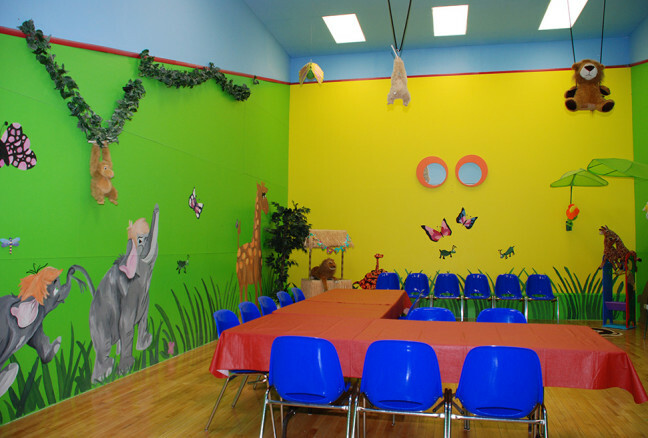 Family movie nights during March Break in the Jungle Room, or book for a Birthday Party throughout the year! Snuggle up every evening with the family for movie night in one of the themed rooms (which are also available for birthday parties throughout the year!) Or just order in room service and relax. 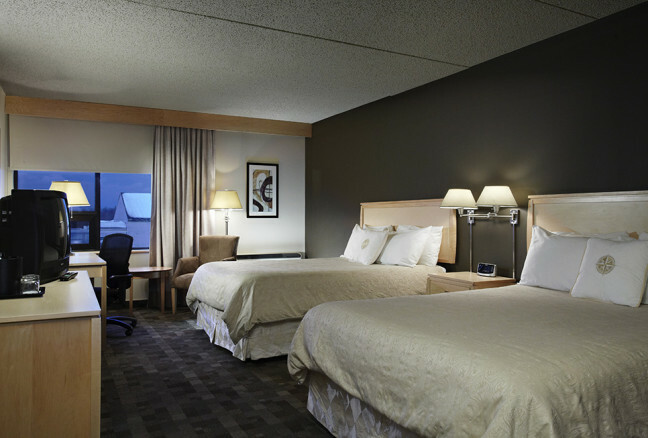 Did you get a room that overlooks the pool or the wetland behind the hotel? Lots of room to spread out, and super comfy beds! For meals, visit any one of Kingston’s great restaurants, including JM’s Restaurant & Lounge off the lobby of the Ambassador. We filled ourselves up on the Saturday night Prime Rib buffet….with multiple trips to the dessert bar. I’m told that the banana theme of the week will find it’s way onto the menu. If the banana cream pie is anywhere near as good as the coconut cream pie….make sure you save room! Enjoy your March Break visit to Kingston! I’m off for a trip down the waterslide now!